Thermal sensing inside a vacuum chamber is essential in many processes. It is therefore necessary to have a feedthrough that not only ensures vacuum compatibility, but which also allows easy replacement and maintenance of thermocouples and components. 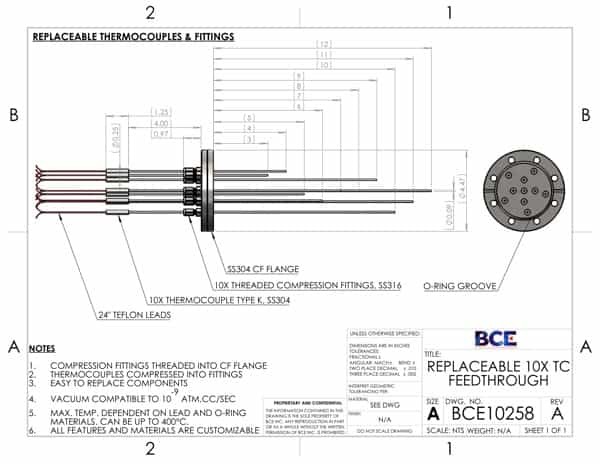 This is precisely what BCE’s Replaceable 10X Thermocouple Feedthrough renders. 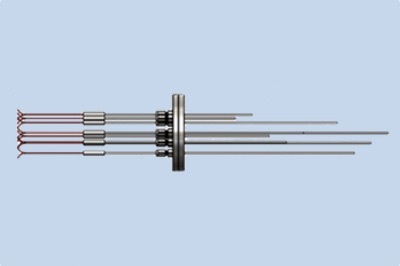 With 10 thermocouples installed inside stainless steel compression fittings, multiple temperature readings can be taken from inside the vacuum chamber simultaneously. As the thermocouples are compressed, they can be easily extracted for maintenance or replacement purposes. The compression fittings in turn are threaded into a standard CF flange with an O-ring groove that mates directly to the chamber port. Thus, they can also be removed and replaced with ease. The entire construction is stainless steel for added durability and cost effective machining of parts. Thermocouple leads are available in multiple materials including Kapton for higher temperature applications. Hence, there is virtually no contamination. 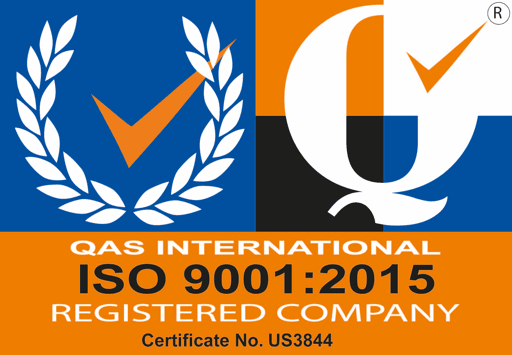 BCE, a trusted partner of choice for all your vacuum application needs.